If you have a Vita, you ought to have played Tearaway. It was perhaps one of the best examples of a game that perfectly utilized the functionality of Sony’s portable without making it feel like it was gimmicky. 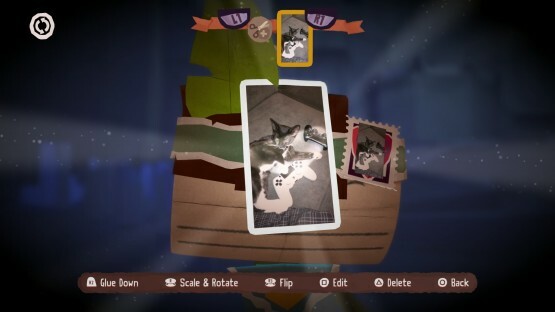 It was simply a love letter to the platform and the feather in the Vita’s cap, which is why I had mixed feelings about the announcement of Tearaway Unfolded for the PlayStation 4. While it was exciting that Media Molecule’s paper-filled adventure would make its way to a larger audience, it was bittersweet to see that great Vita exclusive lose its solo partnership with an underutilized system. Media Molecule has said many times that Tearaway Unfolded is expanded from Iota/Atoi’s original outing, rather than just a simple port with improved textures, but I would have never guessed how deeply they rebuilt and changed the game down to a fundamental level. In fact, the game was recreated from scratch using the original game as a concept for the idea. This means that even areas and mechanics that may seem familiar have often been redesigned to utilize the power of the PS4 or the DualShock 4 in ways that its Vita predecessor never could have, in addition to a wealth of all new content that Vita owners never got to experience the first time around. 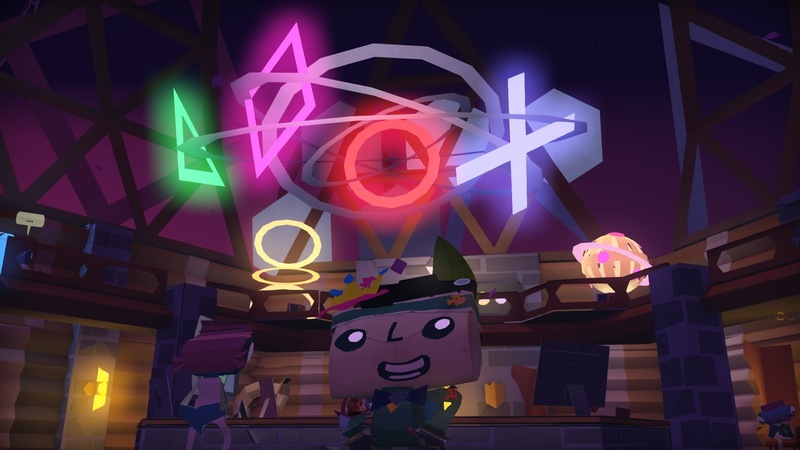 In Tearaway Unfolded, this world is another dimension, and as the mysterious deity known only as the “you,” players guide Iota or Atoi –the messenger — to deliver a message to themselves through the tear in the sky. It’s fitting that you play the role of a god in the game because your job is to create, and you continue to create, and all of your creations make repeat appearances throughout the adventure, truly customizing it to each individual player. Media Molecule is largely responsible for the ‘Play. Create. Share’ era, and that culture is not lost in Tearaway Unfolded. At one point you may be asked to provide an image for a new look for a moose. You can use the PlayStation Camera, the companion app, or even the camera that the messenger has in the game to take a picture and customize the moose, but it doesn’t stop there. This image will now show up at various points throughout the game, along with the many other creations customizing the world beyond the moment that you create it, which consequentially meant that my entire game was filled with pictures of my cats and goofy-faced selfies. The jump to PS4 is immediately noticeable in the visuals and physics of the paper world. The pulpy grain of the paper makes you believe that this world was built with a wheelbarrow of supplies and construction paper from a craft store, which was something the Vita just couldn’t quite portray, and tended to look a bit more cartoony. Now we are able to better get a sense of this environment that is just a tear away from our own (see what I did there?) using the superior capabilities of the home console versus a portable. I was constantly getting distracted by the fascinating environments and the near-tactile paper feel that they exuded. Sorry Vita version, major point to the PS4 on that one. It may be odd for a game that relied so heavily on the Vita’s functionality to be brought to the PS4, but as I mentioned, the game has been entirely rebuilt. This means that it has now been centered around the DualShock 4 and making full use of its capabilities in ways that are more than simple gimmicks, but actually feel right. 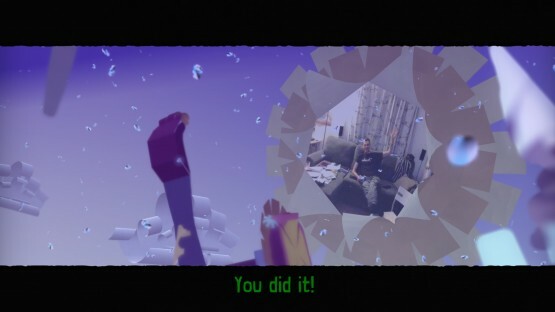 Tearaway Unfolded is a fourth-wall breaking experience as you peer into this world, and though the dialogue helps break that wall, the immersive use of the controller to blend your own real world actions with the responses in the game is incredibly unique. Using the touchpad, lightbar, and various other features never felt out of place and effectively translated the idea that I was a core part of the journey and this story. If you’ve got a PlayStation Camera that has gone largely unused for your PS4, now’s the time to plug it in. It doesn’t ruin the experience to not have it, but Tearaway Unfolded benefits from being able to see the “you” out in the real world. You’ll also want to make sure that you’ve got the PlayStation App downloaded to use its second screen mode for creating, or even for a second player to customize the world in various ways while you play. It connects quickly and seamlessly, though I did find myself running into a number of issues with the correct shapes that I was drawing on the app not being translated properly into the game, particularly if I was creating a complex and layered image. I was consistently impressed with the direction and scope of each new area, and just when things would get feeling too familiar to the Vita release, I would be thrown into an entirely new environment or presented with a brand new mechanic. In fact, the entire third act feels entirely reworked to feel more like an existential question on the state of being, the existence of a higher power, and features some pretty powerful environments and gameplay to meet the higher plane of thought they want you to reach. I don’t want to spoil the experience, but just know that I was thoroughly impressed the further into Media Molecule’s papery world I traveled. Even existing areas like Sogport and Maypole Fields have seen significant redesigns to mesh better with the new areas and the increased focus on DualShock 4 usage, however, mechanically, I found some issues with the camera occasionally clipping through objects, obstructing my view, as well as the Iota’s running speed feeling too slow, particularly in the larger open areas, and most specifically going back through them to try to obtain all collectibles. 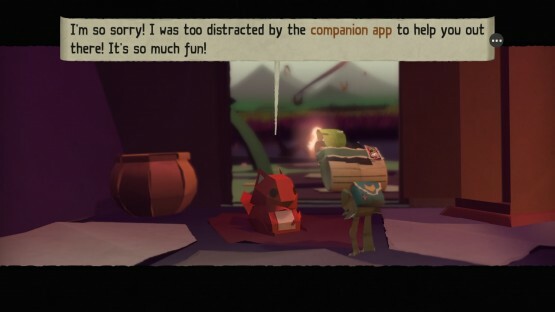 These small issues can easily be ignored when it comes to appreciating just how impressive of a project Tearaway Unfolded is. What could have been a simple cash-in HD port of the handheld title was instead lovingly (paper)crafted by the developers into a vastly improved, dedicated PS4 platformer. Newcomers are getting a great Media Molecule title and a chance to experience one of the Vita’s best games (albeit in a superior form), and those who played Tearaway previously are getting something that is so updated and expanded it feels like a completely different game altogether. Tearaway Unfolded review copy provided by publisher. Reviewed on PS4. For information on scoring, please read our Review Policy here. Getting to put my own face and my cats' pictures all over everything!